Vancouver Public Library’s inaugural exhibition, morph, invites Vancouverites to come together and think about what change means for themselves and the place where they live. The development of a citywide plan in 2019 has the potential to transform Vancouver. Hear from a diverse range of voices in a series of lightning round presentations. Each presentation explores how today’s city might serve as a launch pad for the Vancouver we want to become. 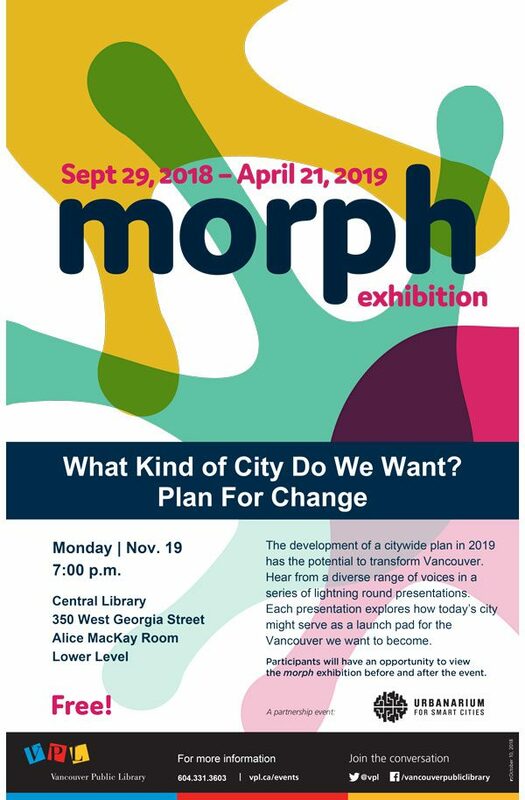 To discover more about change and planning in Vancouver, visit the morph exhibition before or after the event. For more information visit the Vancouver Public Level website.